In the late 1990’s, mobile phones could only do a small fraction of the things that their modern counterparts are capable of. Thanks today’s technology, there are many futuristic smartphone features that could change the way you use your phone in the near future. We already keep our noses in our phones and ignore what’s going on in life as it is now. That could only get worse if virtual reality becomes a reality for smartphones. Recently manufacturers have been working on 4k displays which seems odd because the human eye can barely perceive 2k resolution. 4k makes a lot more sense when viewed through the lens of this development which demands a non-pixelated experience. It’s no wonder that graphene is called a “wonder material” because it’s flexible, transparent and 200 times stronger than steel. It also makes a great conductor for heat and electricity, so it’s not difficult to see how this material would take smartphones to the next level. We recently wrote about how Samsung is using graphene to help extend battery life. And other possible breakthroughs could be using graphene to make phones that are wafer-thin, transparent, flexible and almost indestructible. It wasn’t long ago that phones had physical keyboards and anything without buttons seemed out of touch. Then the opposite was true. With this development from Tactus Technology, the trend could be flipping again. The technology is called microfluidics and works when small amounts of liquid fill invisible pockets on the phone screen whenever the touchscreen keyboard is brought up. Now this is just what the doctor ordered. Scientists have developed an app called Athelas which works with a cheap PCR attachment that can track malaria and cancerous cells in your blood. A dye is used to track pathogens in the blood and then a diagnosis can be made within a couple of hours. From there it’s automatically uploaded to an online database so scientists can study how diseases move. Voice control isn’t all talk. Apple has improved its technology and Siri can now give reminders of things based on past emails, the time of day and other factors. Android also lets users control music play. This is just the beginning. Voice-assisted AI algorithms are progressing at an impressive rate and soon should be able to use your pattern of movement and searches to suggest things before you even think about them. Smartphones aren’t all fun and games. 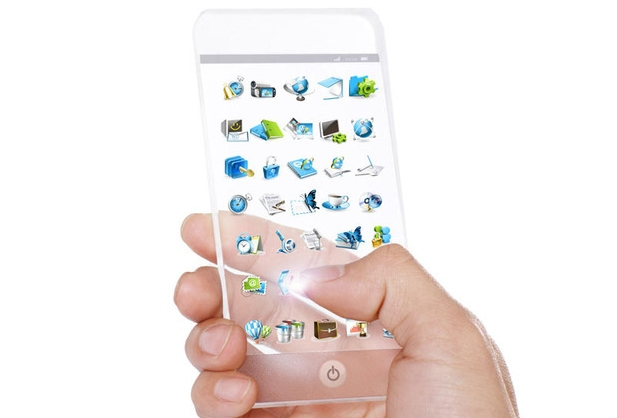 The next technological development could be sensors along the side of the phone. Samsung already has a patent in place for a phone with 6 sensors. Combine that with a curved touchscreen and you have the perfect recipe for a gaming phone. The sensors could also be used for photography and to control GPS navigation. Since the 90s the only developments with SIM cards have been making them smaller. Now Apple and Samsung are trying to get rid of the physical versions and replace SIMs as we know them with an electronic version. This could give users the ability to switch been network providers in a matter of seconds. AT&T is shaking in its boots. Last but not least is the ability of touch screens to sense pressure. After years of trying, Apple finally put its finger on the solution and has been working on Force touch which distinguishes a light tap from a firm press. This will just give users more ways to have control over the cellphones and has obvious benefits for the gaming community. It’s clear that smartphones will soon be getting even smarter. With all these features, you’ll need a phone battery that can keep up and hold a charge. Until battery technology has a major breakthrough, Veloxity commercial smartphone charging stations with secure lockers are a great way for guests at events and venues to keep their phones powered up. The cell phone charging stations are available to purchase or rent.